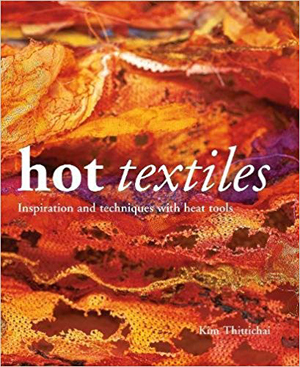 An inspirational and practical guide to the potential of heat tools for textile artists. Soldering irons, heat guns and household irons can add texture and variety to textile work - whether it's hand embroidery, machine embroidery, quilting or felting. Stunning work can be produced with a variety of materials: hot and cold foiling; painted and plain Bondaweb (fusible webbing) on wood, paper, fabric and pelmet Vilene; making beads from synthetic fabrics, Tyvek and Kunin felt; melting and distorting plastic bags and cellophane; working in three dimensions; and embossing powders. With step-by-step instructions, full health and safety advice and stunning photography, this is an important book for all textile artists.